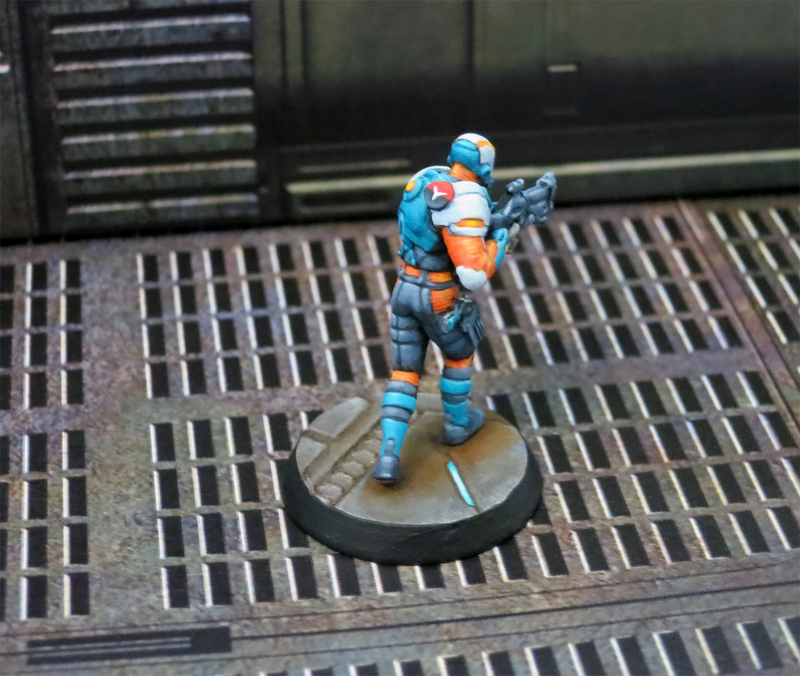 This entry was posted in Miniature Painting and tagged Corregidor, David Montalvan, Infinity the Game, Miniature Painting, Monty, Nomads, Painting, Table Top by osographic. Bookmark the permalink. How’d you do the base, btw? Sweet! Glad this stuff is inspiring people to get into the game. Curse you gamer ADD! 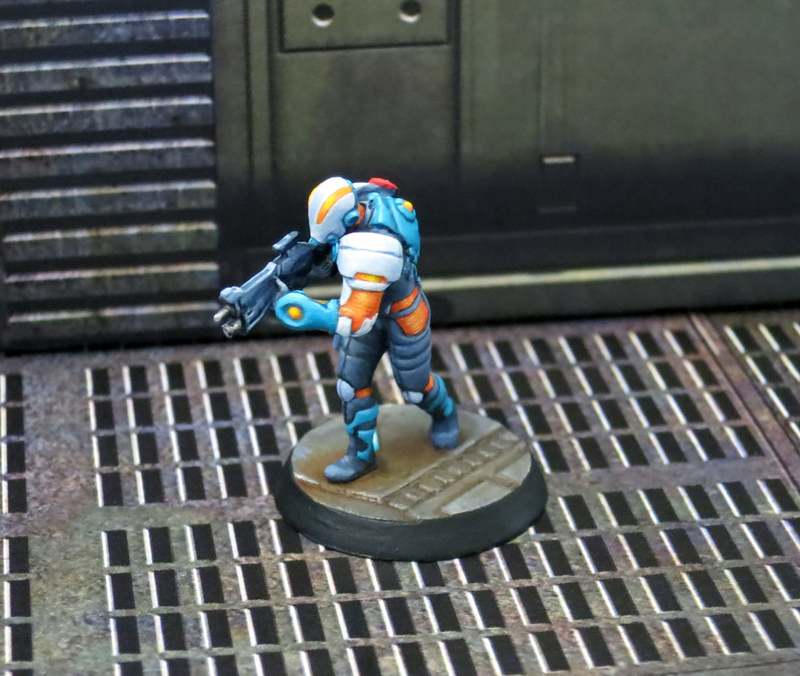 The bases are from Secret Weapon’s Tau Ceti baseset. Great value and pretty clean molds. I painted them using my usual rusty metal technique. Start with a base coat of Leadbeltcher (GW), then a wash of Battledress Green (P3), a second wash of Bloodstone (P3), and finally a drybrush of Leadbeltcher. You can try adding some highlights with a brighter metallic if you want but I wanted to keep these bases dull looking to contrast the lighting effects. Pretty nifty, though I do have a different base scheme for my nomads. I wanted to keep them plain and simple to basically show off their awesomeness more. The Bakunin Nomads (the ones I am getting into) are very random in many ways and subtle bases are the trick there, I believe.